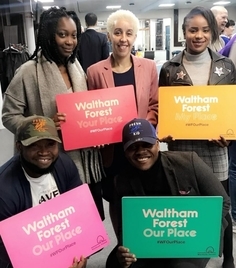 Waltham Forest has a proud history of welcoming people from all over the world, and is home to a thriving community of people from many different backgrounds, cultures and faiths. On Monday we launched Connecting Communities – our ambitious programme to inspire at least 50,000 people to make a difference for those around them. Our vision is to unlock our collective power and build an integrated, supportive and safe community that feels like home for everyone. The launch event brought together Waltham Forest’s greatest natural resource; its residents – to launch the Connecting Communities programme, which aims to highlight, celebrate and grow the amazing people, community groups and volunteers, who go the extra mile for their community and make our borough such a special place to live. The four networks in Chingford, Walthamstow, Leyton and Leytonstone will be a new way of working for the borough: bringing voluntary and community groups, local leaders and key public services such as children and family centres and libraries together to agree local priorities and share resources accordingly. Smira Javed - Connecting Communities Manager for Leytonstone area. You received this newsletter because you signed up for news about Connected Communities. 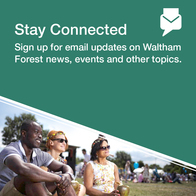 There are now email newsletters set up for most of the Council's services across Waltham Forest so if you are interested in other services please sign up for those newsletters too. Please encourage friends and family to sign up so they too can stay connected with what's happening in our borough.